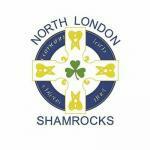 NLS' annual Dinner Dance took place on Saturday April 21st at Trent Park Country Club in Oakwood, North London. There was a fantastic turnout and an enjoyable evening had by all. Congratulations are extended to all who were honored on the night. These include Kenny Fagan, voted as Clubman of the Year; and Enda McHugh and Ciaran Collery who were voted as Players of the Year by the Senior and Reserve squads, respectively. On the field, it's been a good start to the pre-season competitions with NLS winning both of their games in the Tipperary Cup; beating St Kiernan's in round 1 by a point and then in round 2 recording a convincing victory over Fulham Irish by 2-15 to 0-8. These victories should ensure passage to the knock-out stages of the competition later in the summer. Best of luck to Liam Irwin who will be representing London in the upcoming Connacht championship match v Sligo on May 6th. All involved with the club would like to congratulate Anthony Langan and Shane Gallagher and their wives on the arrival of baby girls into their respective families. Congratulations also to Eddie Kelly and his wife on their recent nuptials over in Donegal. NLS Youth have organsied a fundrasier by way of a Family Fun Colour Run on Monday 7th of May, in Grovelands Park, N21. Registration is at 11am. 3km run commences at 1130 and 5km at 1230. There will be a barbecue afterwards in The Winchmore. Further details and poster are available on our Twitter and Facebook pages. A great family day out and all interested are welcome to attend.